lately people use UTF-8 in i.e. Facebook group names. Like the "rocket" or the "cashbag". 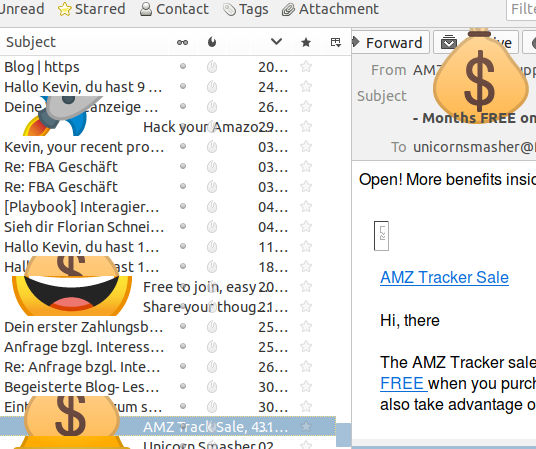 If notification-mails with those symbols arrive on my linux thunderbird those Icons go crazy and more or less destroy the mail overview! Is this a reported /known bug? When will it be fixed? Last edited by KFlash on August 24th, 2018, 1:09 pm, edited 1 time in total.